"The Unsuccessful Self-Treatment of a Case of 'Writer's Block'" is the title of one Dennis Upper's article, published in Journal of Applied Behavior Analysis in the fall of 1974. In terms of structure and syntax it is in every way a well-researched, thoroughly annotated and concisely presented scientific paper. 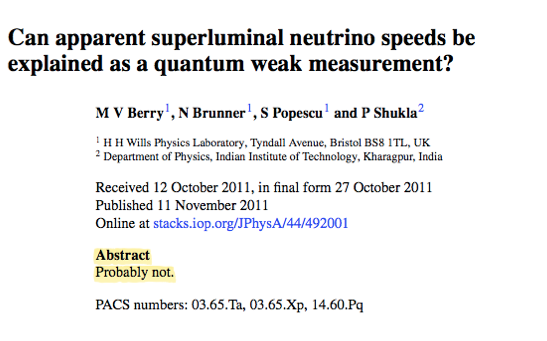 It is also the shortest such paper ever published by a journal. I don't dare excerpt it here. You'll have to visit the article that Science Alert has about it. Much thanks to great friend of this blog Dewana Hemric for passing it along!